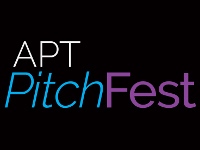 American Public Television (APT), the leading syndicator to U.S. public television stations, has launched the APT PitchFest, an initiative designed to find strong, innovative new content for public television viewers. APT will award a Grand Prize of up to $75,000 in production funds for APT PitchFest 2018. This inaugural APT PitchFest seeks entries for promising fundraising programs for public television. Finalists will vie for the Grand Prize at APT PitchFest Live! during APT’s Fall Marketplace in Baltimore on November 5 – 8, 2018. Fall Marketplace is the annual conference which showcases up to 100 new content offers to the public television stations. So, prepare your best pledge show entries and aim to win!